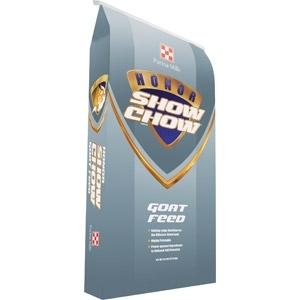 Honor® Show Chow® Impulse™ Goat R-20 meets the specific nutritional needs of growing and finishing goats. Balanced nutrition for today’s modern show goats. IMPULSE™ show feed helps support rapid growth and expressive muscle development.